Following Jerry Coleman’s death back in January of 2014, I posted this on 90 Feet of Perfection. Today marks 3 years since The Colonel passed away, so I’ve decided to share it again here on The 5.5 Hole, as it seems relevant to the blog and is a fitting memorial. I think I speak for everyone reading this when I say that I still miss Jerry in the booth. Padres games haven’t been the same since he left. Last Sunday afternoon, I received a text message from a friend in San Diego that simply said, “The Colonel died.” Nothing more, nothing less. Immediately, I had to google it to see if this was indeed true and when I saw the reports slowly start to pour in, my heart sank. Someone I’ve admired, looked up to, and who has captured my imagination on many levels for the majority of my life had passed away. It may seem silly saying this, but in a way, it felt like I’d lost a family member. This feeling of loss has only grown since I’ve had time to reflect on my memories of Jerry Coleman. 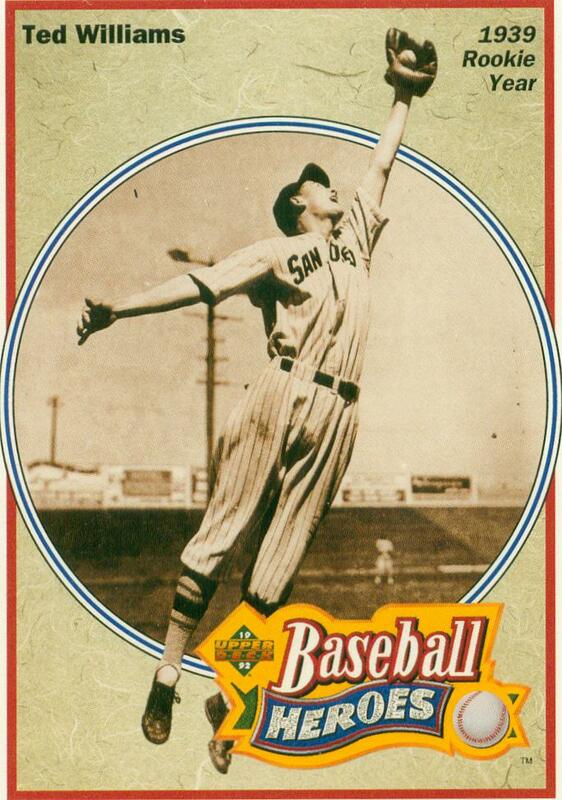 -In 1939, he was a bat-boy for the San Francisco Seals of the old Pacific Coast League. -From 1942 to 1957, he spent his entire playing career in the Yankees organization, where he played on 6 World Series teams. 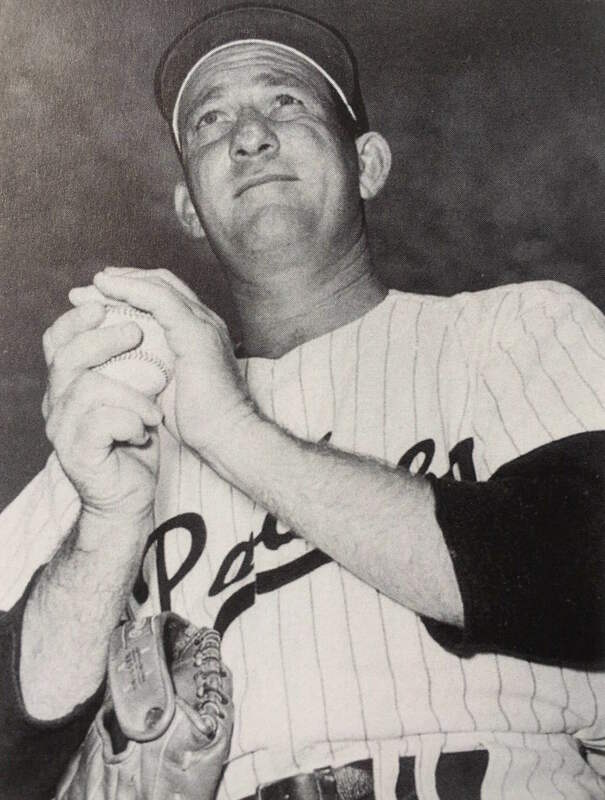 -Placed 3rd in the 1949 Rookie of the Year voting. 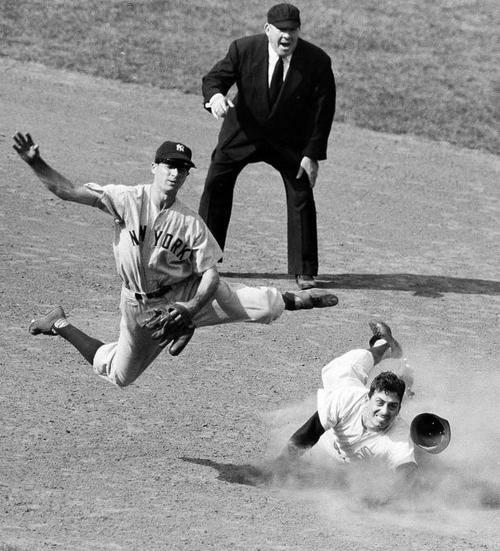 -In 1950, he was voted to the All-Star Game and won the World Series MVP award. 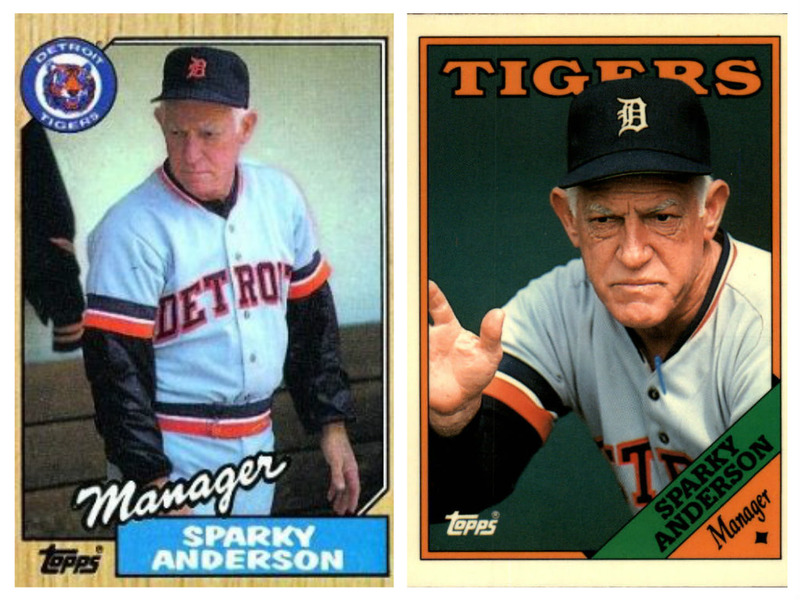 -From 1958 to 1960, he worked in the Yankees front office. -In 1960, he began his broadcasting career, where he did the CBS MLB game of the week. 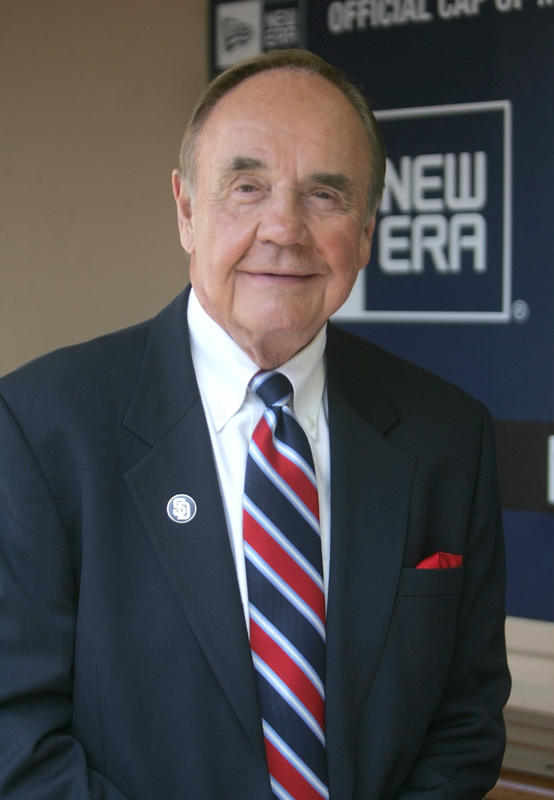 -In 1963, he began his 7 year tenure as part of the Yankees broadcast team. 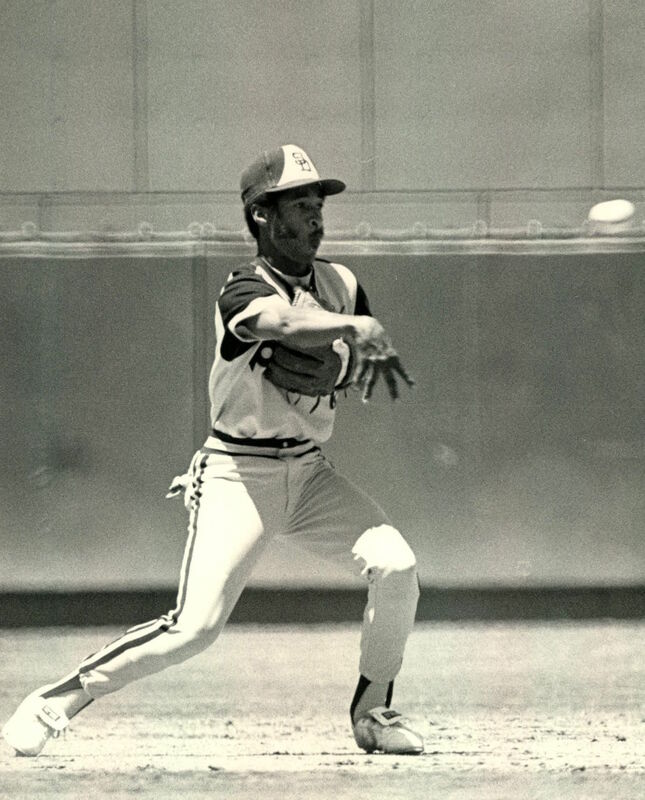 -In 1970, became part of the California Angels broadcast team. 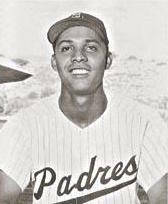 -In 1972, became the voice of the San Diego Padres, which lasted over 40 years. 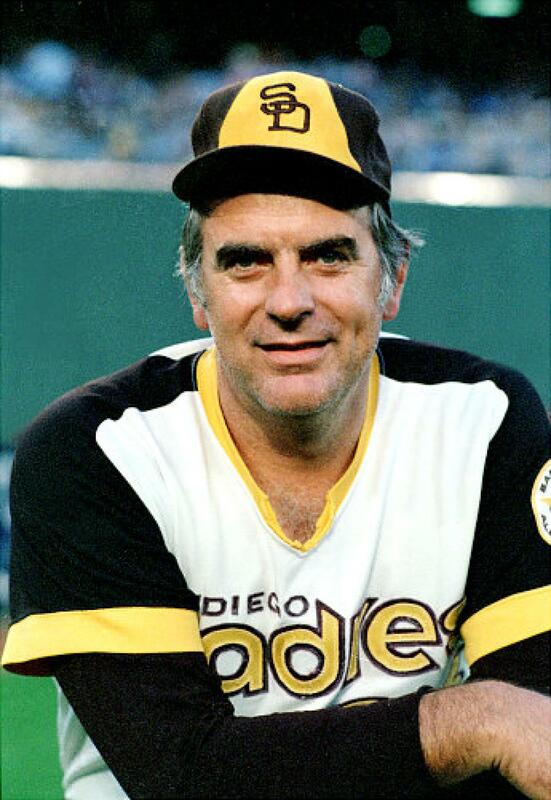 -In 1980, left the broadcast booth to manage the Padres for 1 season. 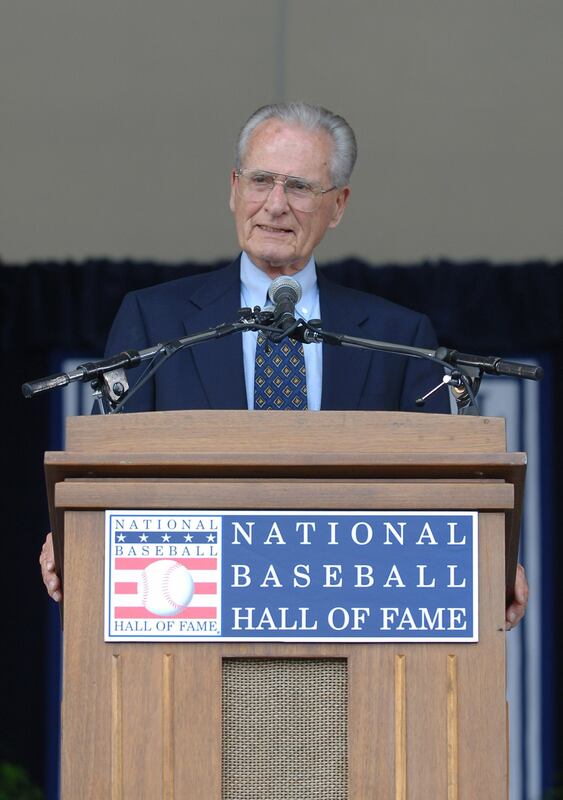 -In 2005, was honored with the Ford C. Frick Award inducted into the National Baseball Hall of Fame. -In 2007, was inducted into the National Radio Hall of Fame. 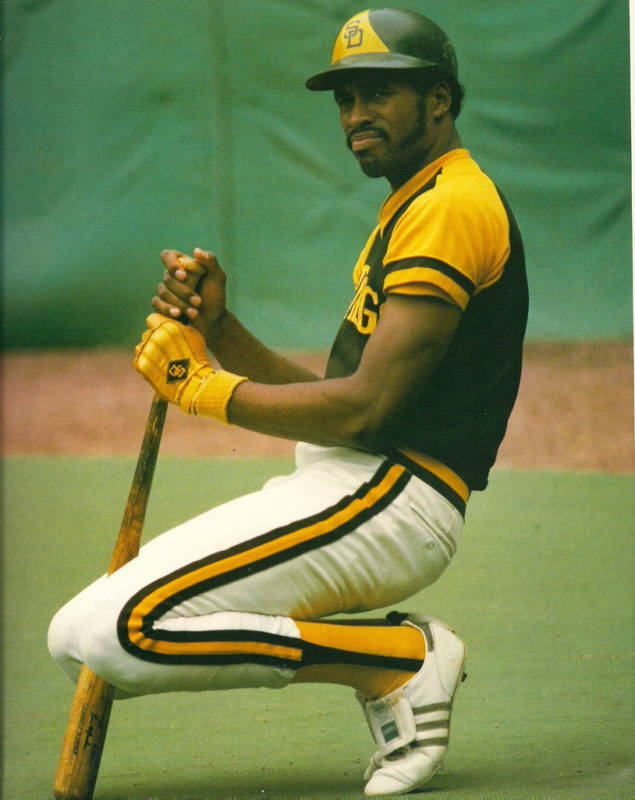 -In 2007, was inducted into the Bay Area Sports Hall of Fame. 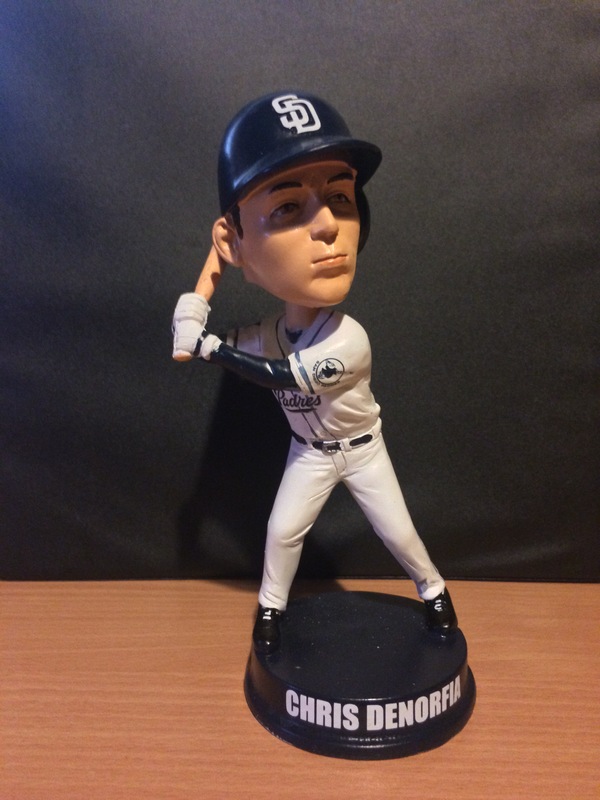 -In 2012, in honor of “Jerry Coleman Day” in San Diego, a statue was built and unveiled in his honor at Petco Park. 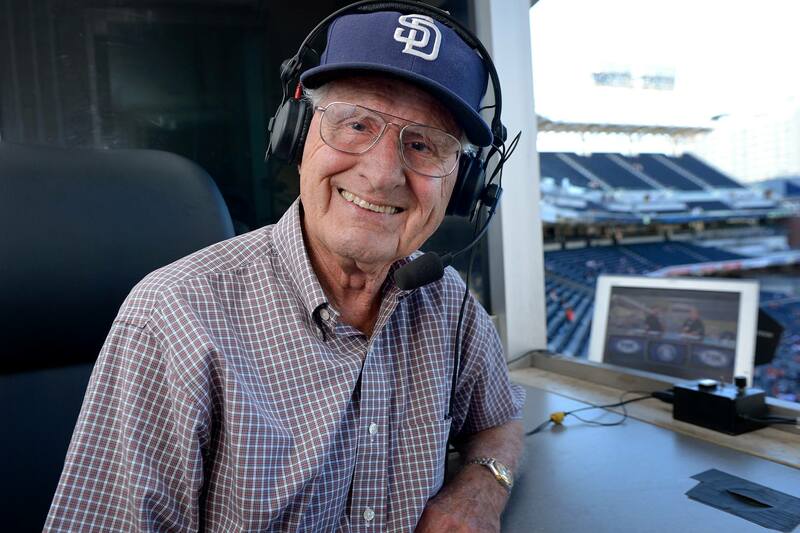 Jerry Coleman passed away at the age of 89, yet as anyone familiar with the Colonel knew, he had to be the youngest 89-year-old around as he was still quite active in both the booth and Padres organization. He had the youthful exuberance of a man much younger than him. 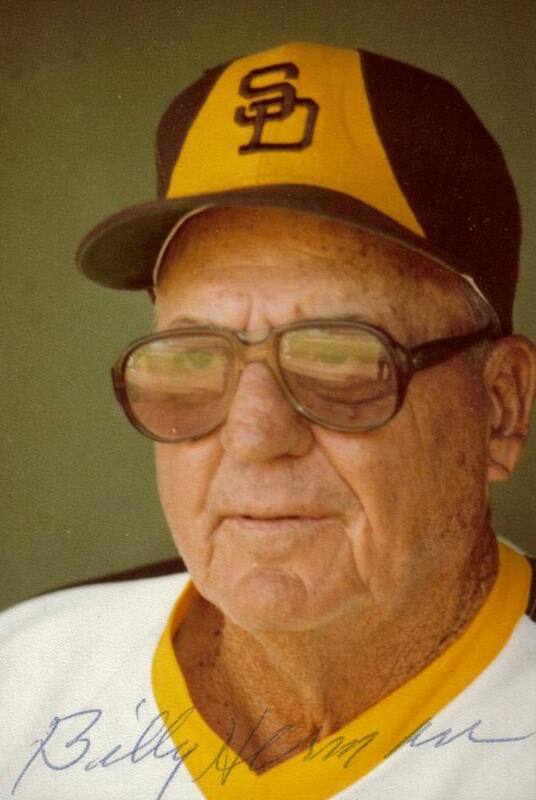 He was still physically able, sharp, funny, and it was apparent to anyone who listened that he was still very much in love with the game of Baseball. An irrational side of myself honestly thought that Jerry would be around forever due to these reasons. He did not seem like a man approaching 90 years old and that’s a hard pill to swallow due to the fact that Jerry Coleman’s death was a result of a fall he had in December. Not due to age, disease, or whatever mother nature has in store for most people in their golden years. Due to this, I’ll always wonder how long we could have had Jerry Coleman? I’m convinced that some great years were stolen from us. To some, Baseball may be just another corporate sport filled with millionaire athletes; and this may be true on a level. 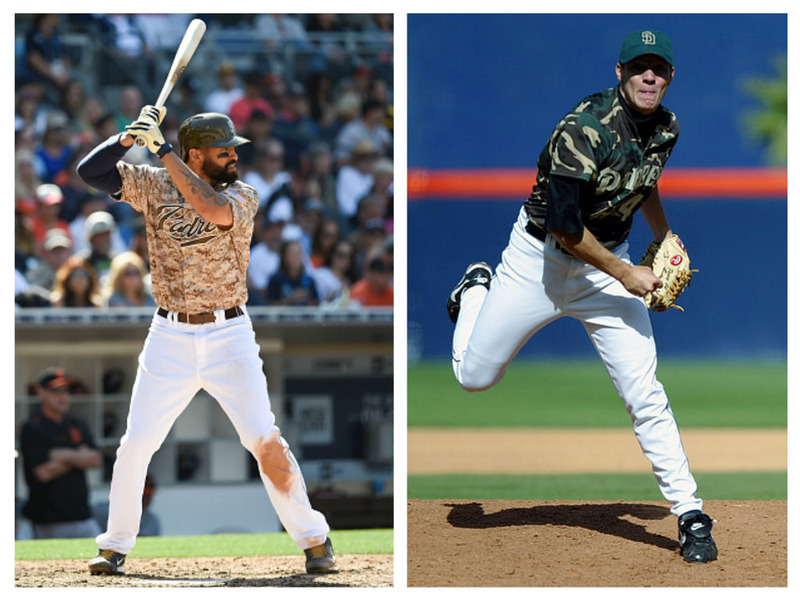 However, there’s more to Baseball below this surface and that’s why the game is special. Jerry represented this as he reminded me of the raw and genuine love of the game that many of us discover as children. 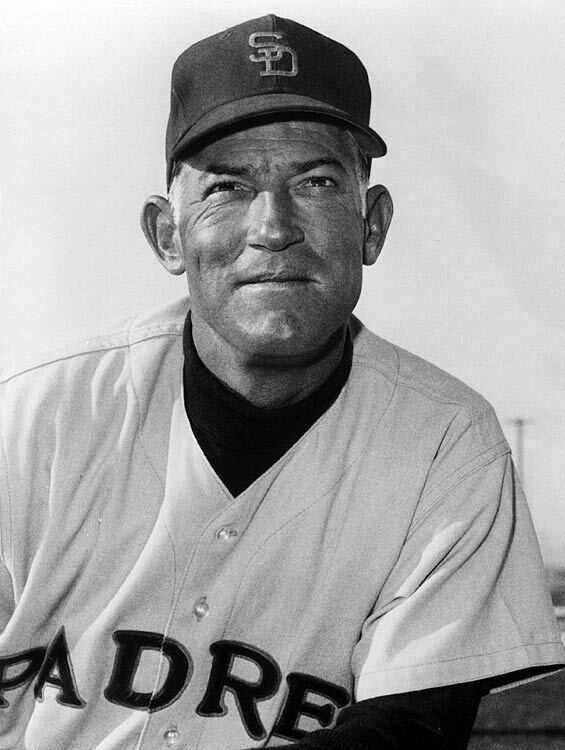 He played in the Golden Age of Baseball and was one of the last remaining people left from that era who was still involved and relevant. I don’t like to generalize and disregard other generations, but the players from the Golden Age brought something to the table not found in generations since. While watching and reading tributes to Jerry this last week, I’d be lying if I said that I didn’t shed a tear. When spring training games start up again late next month, I won’t be surprised if this happens again. Baseball lost someone very special last Sunday and I feel as if I lost someone special as well. 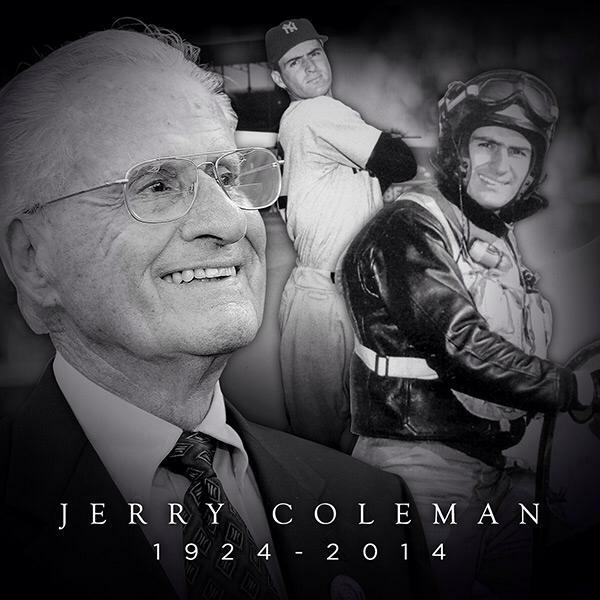 Jerry Coleman, you were a good one and will be missed by many. 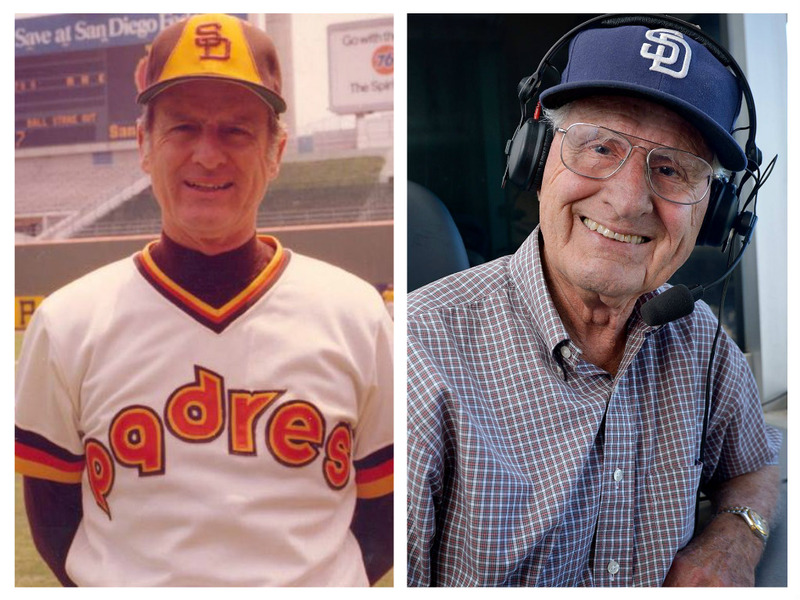 In typical 90 Feet of Perfection fashion, I pay tribute to Jerry Coleman with some photos I both enjoy and find interesting. I hope you do as well. 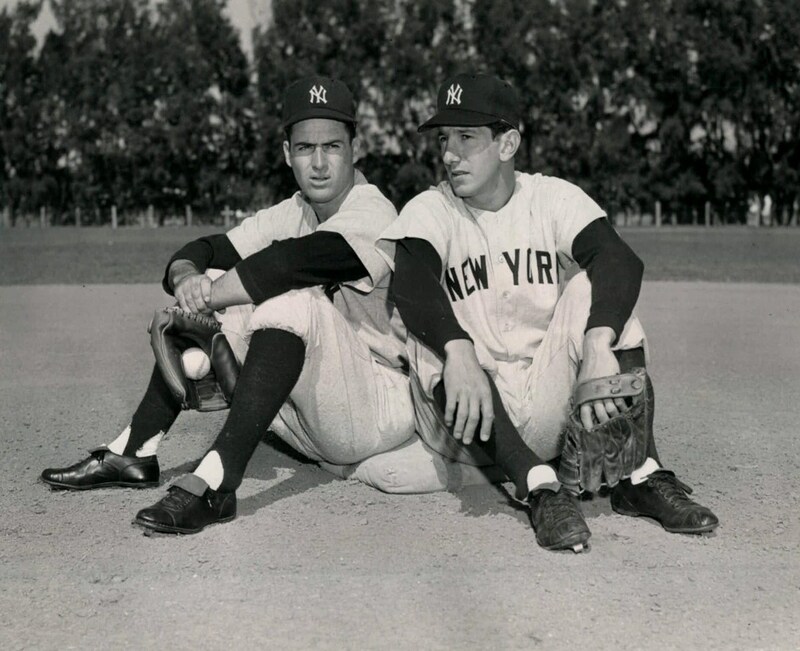 Jerry and Billy Martin relax at second base during a 1950’s spring training. Coleman and Martin are two of my favorite players in Baseball history for various reasons and the fact that they both came from the Bay area certainly contributes to this. 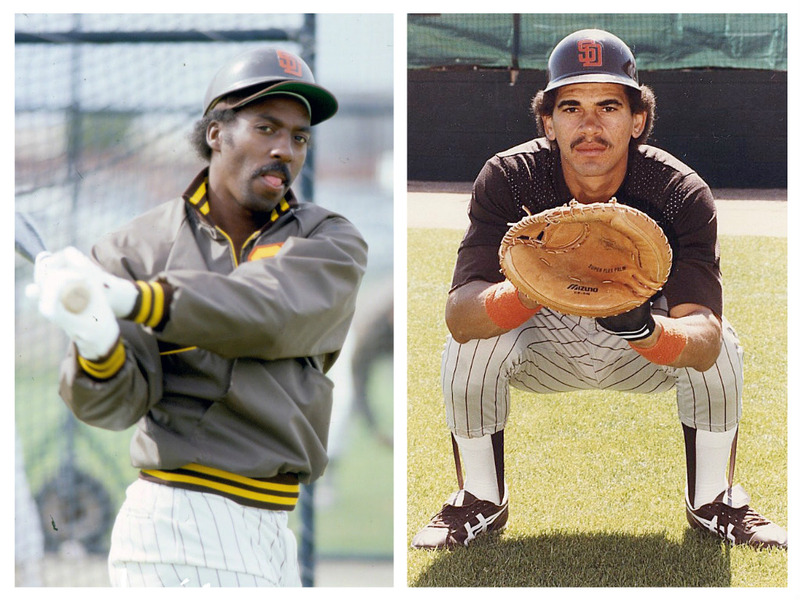 Although Coleman was almost 4 years older than Martin and they came from different sides of the Bay, I’ve often wondered if they knew of each other, or crossed paths prior to playing with the Yankees? 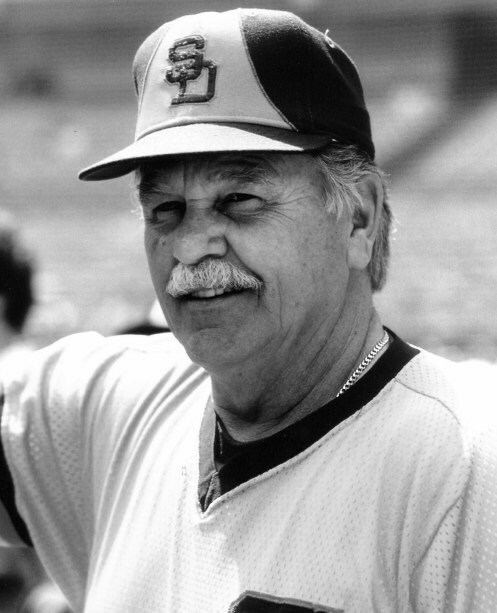 In 1980, Coleman left the confines of the broadcasting booth to manage the team. 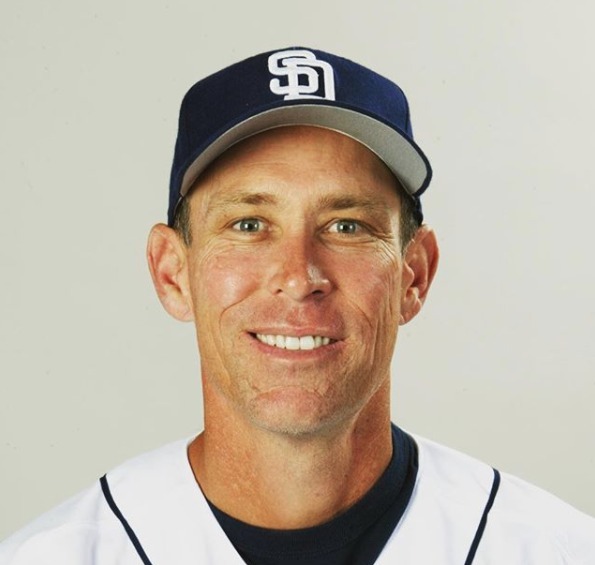 Legend has it that Coleman took the job after the Padres promised that he could return to his job in the booth after his tenure was over. The Friars only went 73-89 that season, but up to that point, it was the best record the club had accomplished in its 11-year existence. 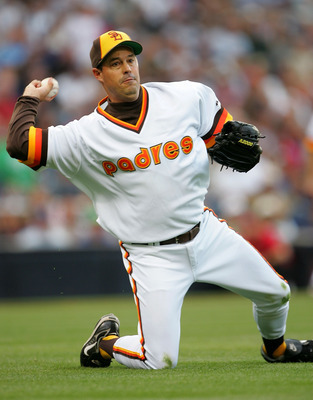 In my opinion, the Padres should retire his #2 that he wore that season solely based on his significance to the team. Everth Cabrera currently wears the number for the team. July 31st, 2005. 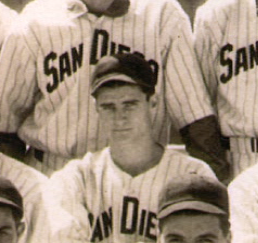 Jerry Coleman during what he described as one of the greatest days of his life. He ended his acceptance speech with the line “On this golden day here in Cooperstown, a journey that started 63 years ago, I feel that finally, finally, I’ve come home. Thank you.” I will always remember this fondly due to the fact that I felt like one of “my” guys made it to Cooperstown. 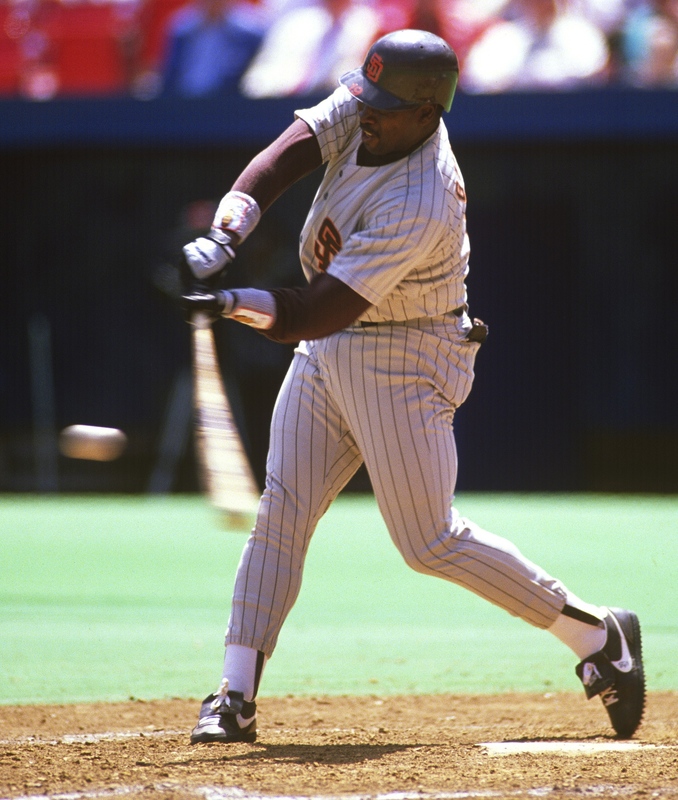 Dave Winfield may have gone into Cooperstown as a Padre, but not without some controversy, and Tony Gwynn was still a couple years away. 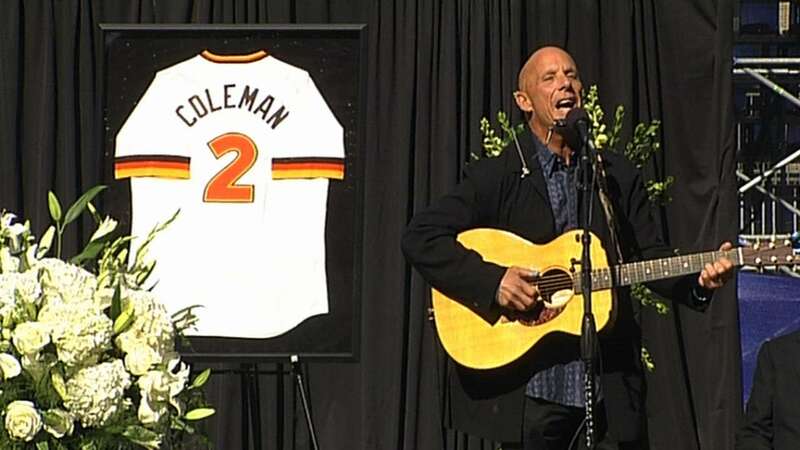 Coleman may have played for the Yankees, but he was Padre through and through and it was quite special to see him honored with the Ford C. Frick Award. To watch a video of his induction speech, click HERE. 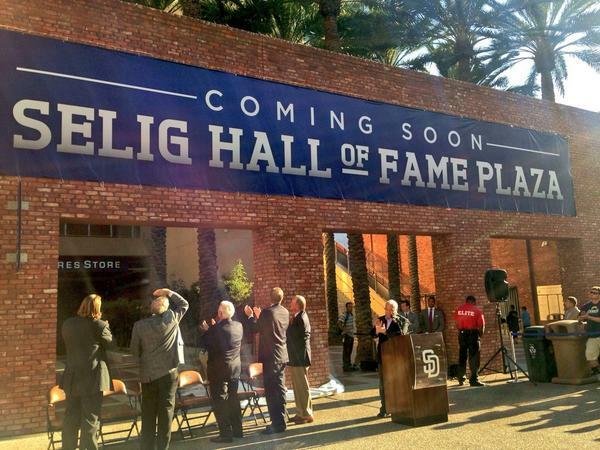 I’ll never hear Jerry call a Padres game again and this is saddening. Yes, he didn’t do as many games as he used to, but the fact that I always knew he was there and still calling games, regardless of how often, was comforting. I came across THIS video of Coleman’s last game in the booth and it made me both happy and sad. Andy Masur shared the booth with Jerry for what was the final home game of this last season, which resulted in the Padres beating the Diamondbacks on a walk-off single in the 11th inning by Alexi Amarista. Jerry finished the game by piping in with an ecstatic “What a finish!” This captured his childlike enthusiasm for the game of Baseball in a very heartwarming way. 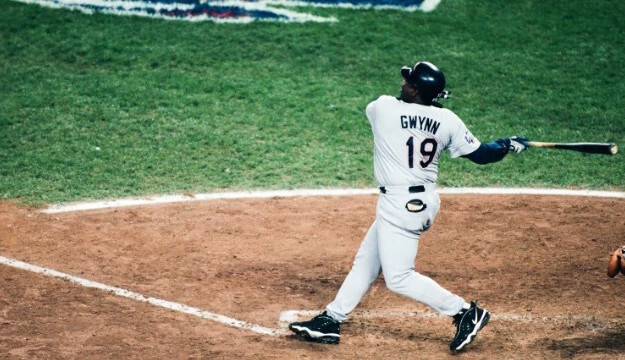 GWYNN. 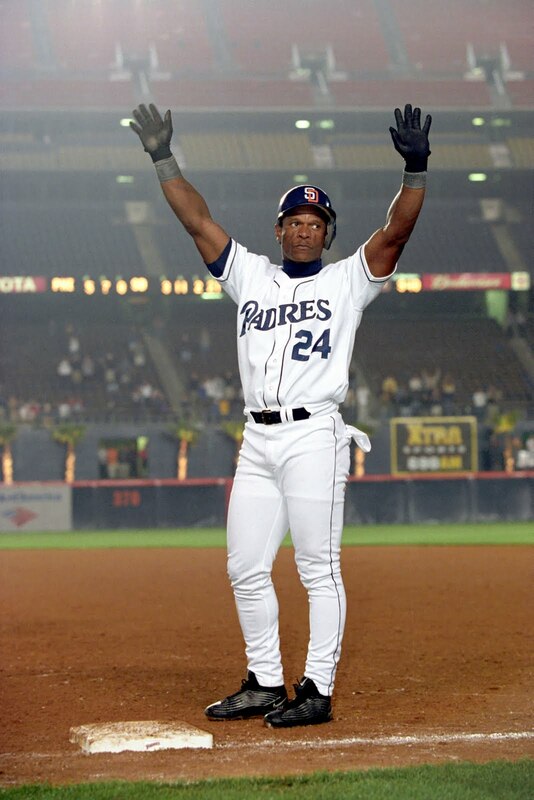 Since the World Series is happening, I’m obligated to start this post with the coolest World Series moment in Padres history. 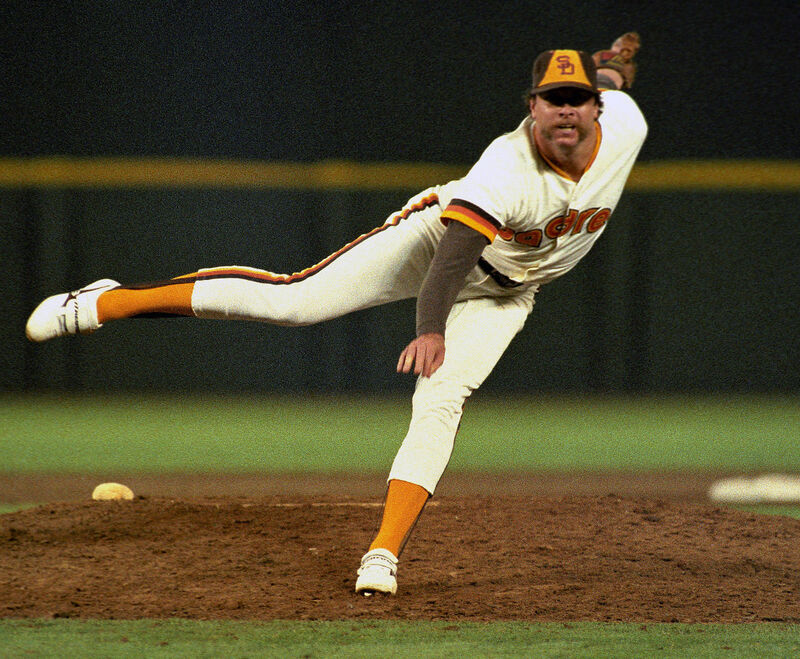 When Tony Gwynn took David Wells deep in Game 1 of the 1998 World Series, everything seemed ok in Padres land. It almost seemed like they could make the series competitive. 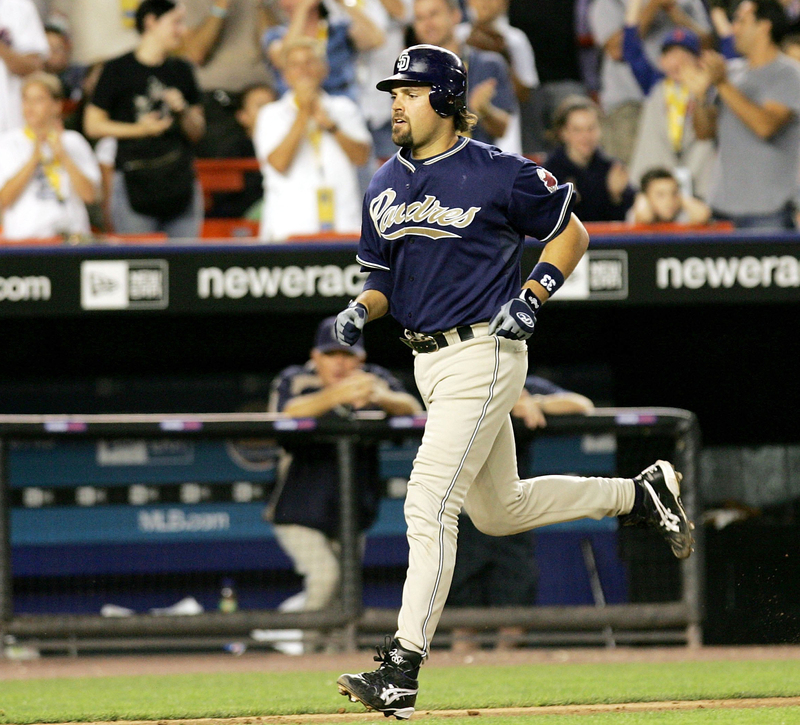 But as we all know, a Mark Langston strike that was called a ball and a Tino Martinez grand slam later and the dynamic of the series was quickly changed. The Padres were not a better team than the Yankees and I certainly don’t think they could’ve won the series; but that should not of been a sweep by the Yankees. Oh well. Related to the image above, I still have a handful of buttons left if anyone wants one. Just shoot me an EMAIL with your address and I’ll send a little package in the mail for you in no time! COLEMAN. 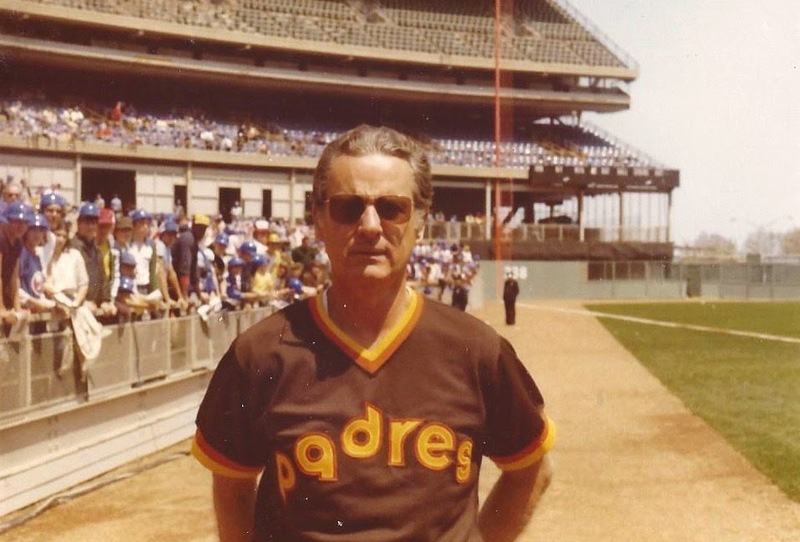 I recently came across this photo of Jerry Coleman and was delighted. 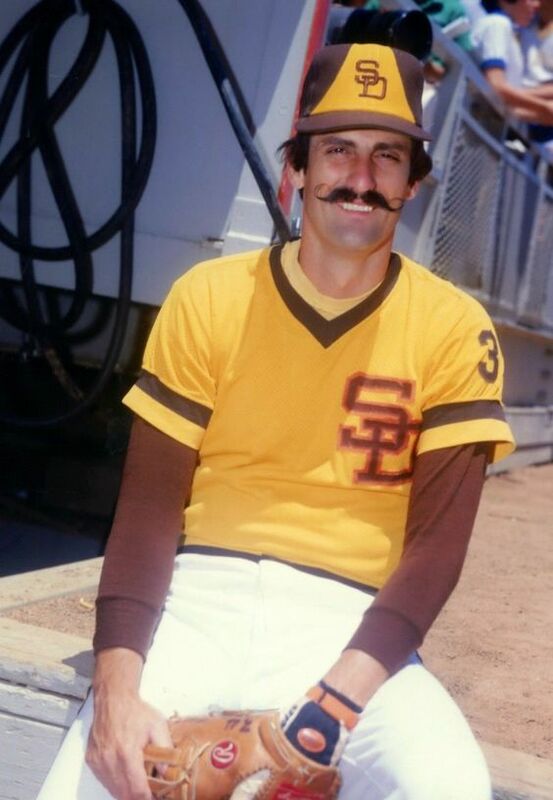 There seems to be a lack of quality photos that exist from the Colonel’s time as the Padres skipper and this one is great. 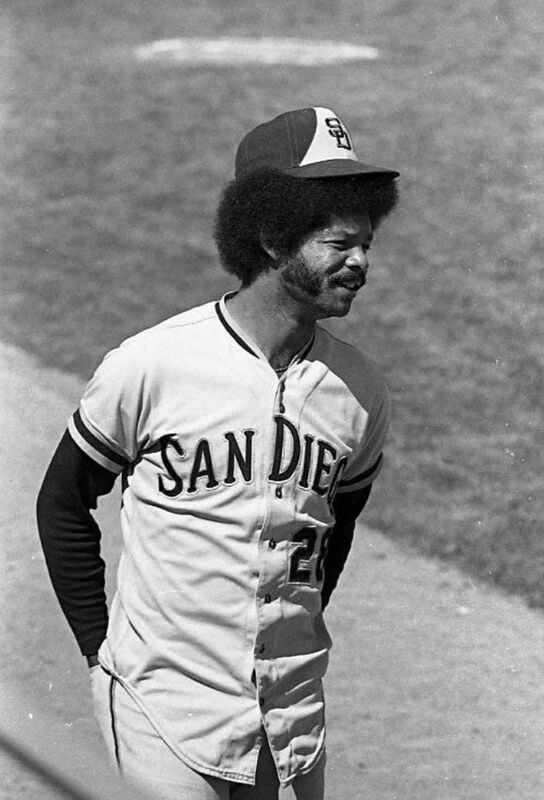 When most people think of baseball players with afros, they think of Oscar Gamble‘s in the 70s or Coco Crisp‘s from a couple years ago. 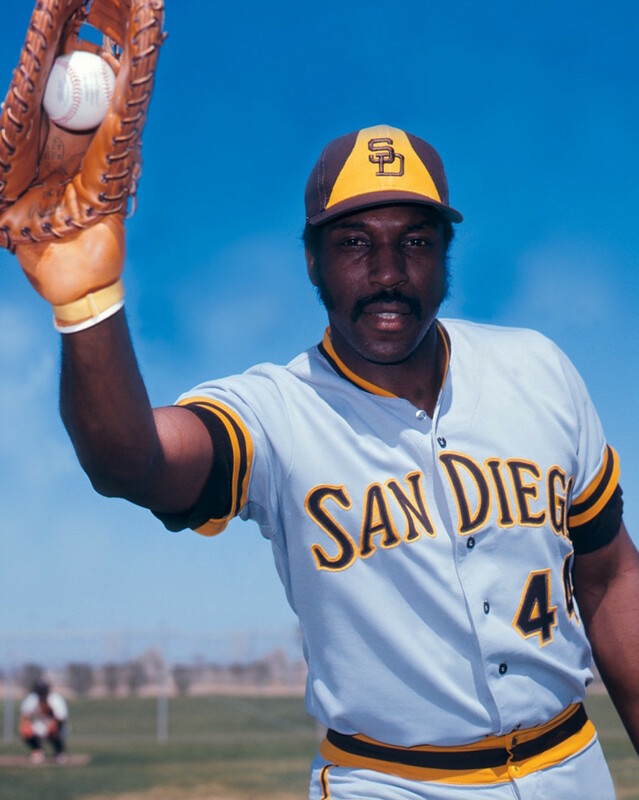 It turns out that former San Diego outfielder, Bobby Tolan had a great one as well. 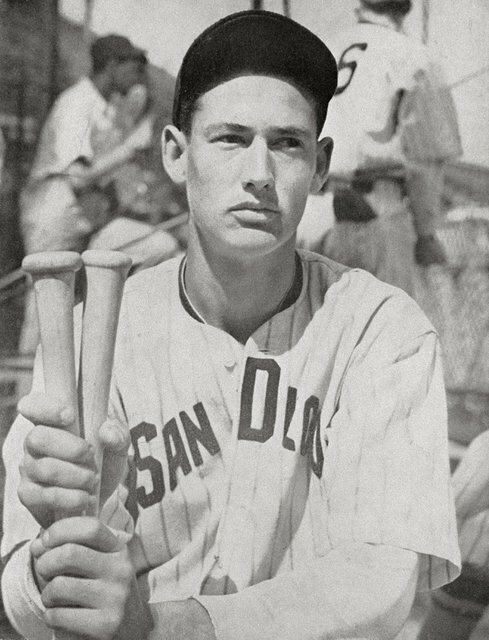 Tolan had a solid career in the professional baseball, which included 13 years in the big leagues and even a season in Japan. 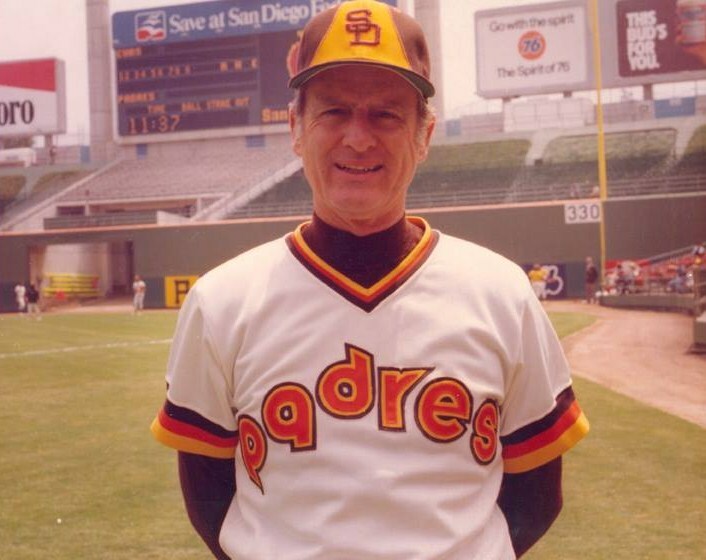 Tolan had two stints with the Padres (1974-1975, 1979) and after wrapping up his playing career, he became a coach for the Padres from 1980 to 1983. 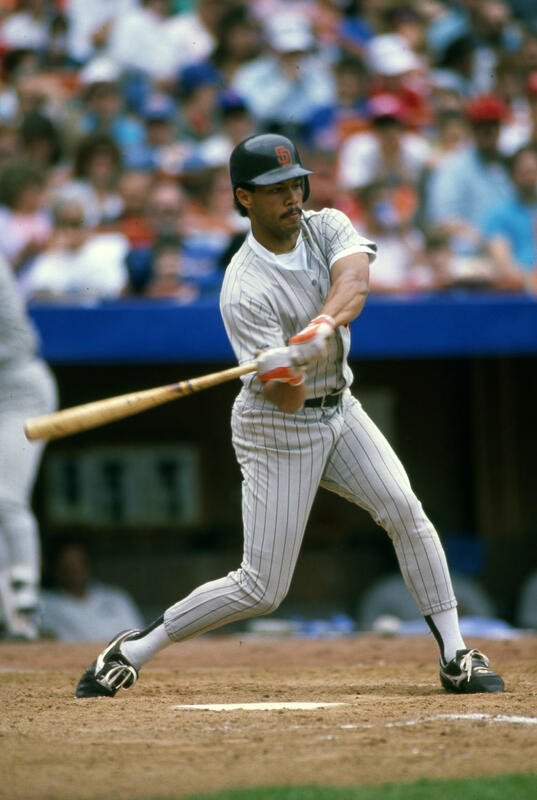 In Padres circles, he’s known for being the hitting coach for the Walla Walla Padres in 1981, and therefore having the honor of being Tony Gwynn’s (and John Kruk‘s) first hitting coach in professional baseball.